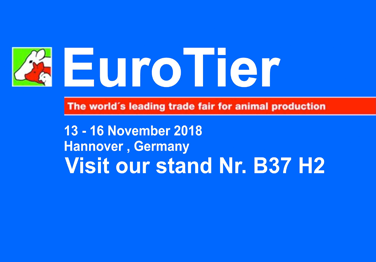 This year's EuroTier trade fair will take place on November 13-16 in Hannover and will focus on optimizing the conditions for livestock farming. 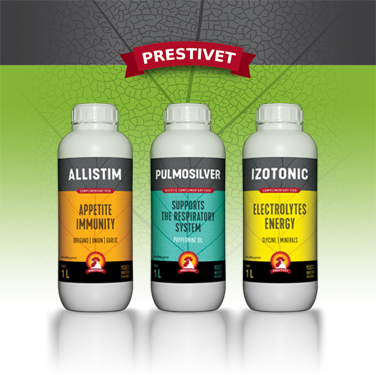 At the most important European fair of products and services for breeders of cattle, pigs, goats, sheep and poultry, Prestivet products can not be missing there. We are happy that we could be among the real industry tycoons. We are constantly developing, and we care about quality in every aspect. We are refreshing the image, implementing the categorization of our products and changing labels. to make it as a prestigious brand, to simplify the search of the right preparations and help in a specific ailment. Transparent categorization with the use of color codes will make it easier to find the right product, just like the new version of www. allowing you to reach the right preparation in an intuitive way. The confirmation of the development of our company are also new preparations for animals - now available for sale. Continuous development is the key value for us!